It was a repeat matchup of Opening Day on the mound between Eric Lauer and Madison Bumgarner. 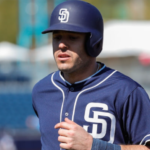 Lauer and the Padres outlasted San Francisco in that opening game, winning 2-0. This time, it was on San Francisco’s turf at Oracle Park on a misty, soggy Monday. The first 3 1/2 innings breezed by without incident, with Lauer and Bumgarner looking as sharp as the first meeting. Then in the bottom of the fourth, things unraveled for Lauer as the Giants broke the scoreless tie with a Brandon Crawford single. The bases then became loaded after an intentional walk for Kevin Pillar. Pillar had just come from the Toronto Blue Jays in a trade and was looking to make an impression. He accomplished that goal as he sent a ball deep into the left-field seats for his first career grand slam and his first home run as a San Francisco Giant, giving them a 5-0 lead. 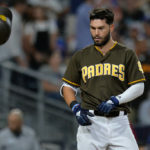 San Diego quickly responded as Eric Hosmer walked ahead of Fernando Tatis Jr., who sent his third home run of the season to left field and continued his dominance of Bumgarner, cutting the lead to 5-2. Wil Myers cut into the lead even more with a solo home run, making it 5-3. Eric Lauer came out after six innings, although he allowed five runs, he struck out eight and gave the bullpen a needed break. The bats picked up Lauer in the top of the seventh. Tatis was hit by a pitch (the at-bat after his home run), and then Francisco Mejia doubled, putting runners on second and third with no one out. Bumgarner was removed from the game, and Reyes Moronta got Manuel Margot on a ground ball, which scored a run. Margot quietly had a good night, with two hits, an RBI and a stolen base. Franmil Reyes pinch-hit for Lauer and proceeded to destroy a baseball deep into the misty night for a go-ahead, two-run home run. That must have come as a relief for Reyes who has had a terrible streak of bad luck on well-struck balls. 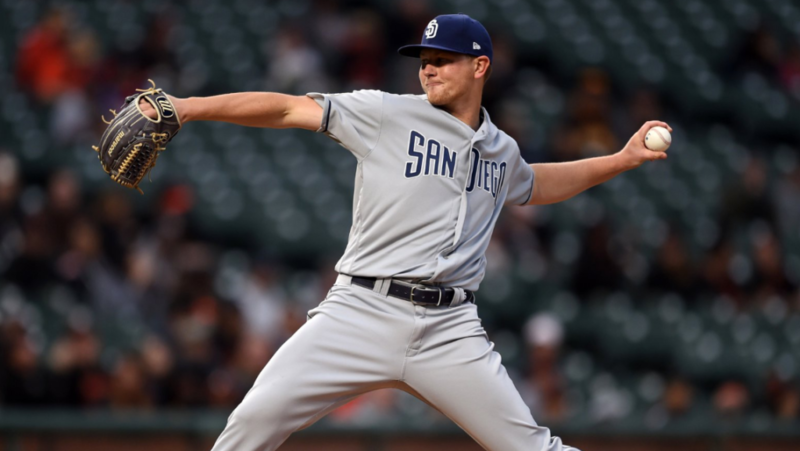 With the Padres leading 6-5, it became a battle of the bullpens. 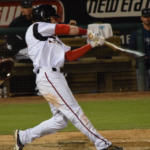 Brad Wieck, fresh off his call up from El Paso, got into a jam after an error turned into a stolen base and a hit by pitch, which caused Gerardo Parra to leave the game. 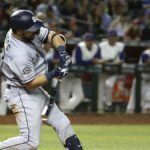 Brandon Belt made Padres fans gasp with a strong drive to right field, but Hunter Renfroe caught it to end the threat. Craig Stammen came in for the eighth inning and worked around a leadoff double by Buster Posey to protect the slim one-run lead. 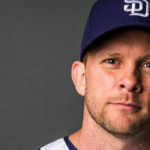 Kirby Yates came on in the ninth inning and overcame a fielding error by Myers, who dropped a fly ball in foul territory in left, to seal the deal. 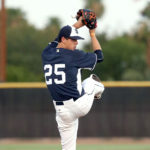 Yates earned his sixth save after striking out two, lowering his season ERA to 1.29. This marked the biggest comeback since September 9, 2017, when they erased a 6-0 deficit to stun the Arizona Diamondbacks. 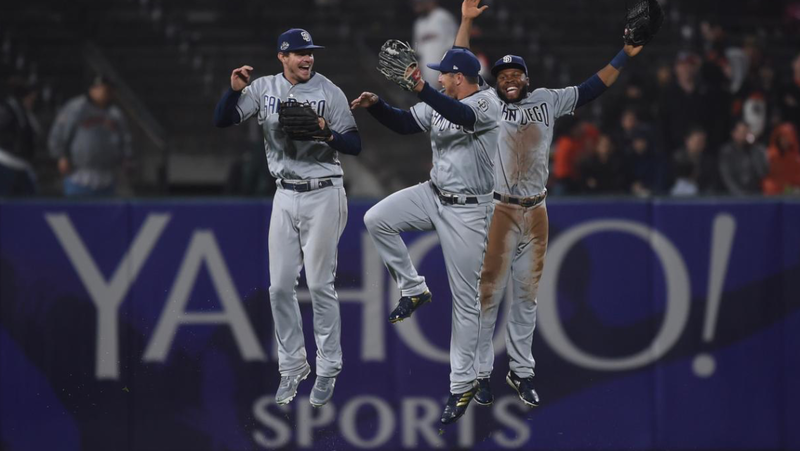 The Padres are now 7-4, the best start since 2009 when they went 8-3. In the NL West standings, with the Dodgers loss, the Padres are now just one game back of the division lead. 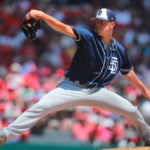 Tuesday will feature a repeat of the opening Friday night game in San Diego, with Joey Lucchesi and his 10 1/3 scoreless inning streak going against Derek Holland as the Friars go for their third series win in four tries this season.